Not a word about Memorial Day on Memorial Day until Page 12! The Editors of the Roanoke Times once again demonstrate their clear and undeniable expression of their values and character. In their defense, they are in complete harmony with Obama who instead of honoring our fallen at Arlington is on vacation in his Chicago hood. Vacation? Aren’t we at war on four fronts? Do we not have a major environmental problem in the Gulf? Isn’t our economy and unemployment in crisis? Isn’t the Obama government running up the Nation Debt by $4 BILLLION PER DAY placing our people and country in great peril? Aren’t Iran and North Korea getting ready to launch long-range missiles with nuclear warheads? Apparently the Editors of the Roanoke Times and their liberal media associates think that Obama deserves a vacation; most American are looking forward to his permanent furlough! 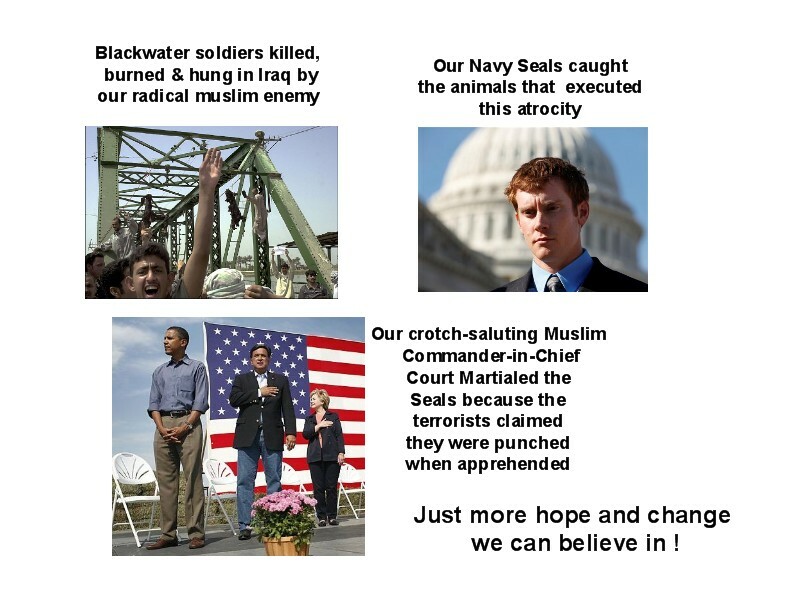 Just more hope and change and hypocrisy we can believe in! Roanoke Times, 5-29-10, Pg 3: Obama at Louisiana beaches; and recent news conference. The Gulf Oil spill is NOT Obama’s Katrina. At least for Katrina, Bush tried! Daddy, did you plug the hole yet? These are the major media headlines and news stories about the Gulf Oil spill after one month (30 days) of Obama’s position: Not my problem! One can only imagine the venom and hostility pouring out of the Editors of the Roanoke Times and their friends in the liberal media if Bush were still President. Based on the anemic response and absence of the Navy, Coast Guard and contract ships with the largest and best skimmers and containment capabilities in the world one would conclude that the Federal Government doesn’t consider this to be a big deal. that in natural disasters on-shore states are in charge, not Washington. administration has been prepared for the worst from the start. Mr.
"I wish that the federal government had been up to the task." Obama sending 1200 National Guard troops to Mexican border. That’s 400 troops per shift (3 shifts per day). Wow! Be scared illegal immigrants and smugglers! Obama’s going to get you! What a pathetic response to a major, serious and chronic problem. And now Obama is challenging Arizona’s new law that mirrors US laws that Obama is not enforcing. Didn’t he take an oath to uphold the laws? Apparently not! The last time the National Guard was sent to the border they were chased away from their post without firing a shot by Mexican drug and smuggling dealers with guns. If you see any Mexicans’ with guns – RUN! How pathetic! Have we become the French army or what? Here’s a thought: Just finish the fence, Stupid! Where are the Roanoke Times Editors, ACLU, and all the other liberal hounds that bayed for years about Bush’s detention of enemy combatants? Now Obama has obtained court permission to hold these and additional detainees at US base Bagram in Afghanistan indefinitely with no access to lawyers or any form of legal standing or review (something about enemy combatant legal history). And from the left and liberals we now have “the sound of silence”! Apparently indefinite detention is OK if Obama is doing it! Where are the trials and resolution of the awful Bush GITMO detainees? Wasn’t that a top number one priority a year and a half ago? Isn't it ironic that Obama wanted to bring terrorists to Manhattan and the terrorists accommodated him by driving a bomb into Times Square? And what’s with this hunt down and “shoot to kill” American-born Anwar Awlaki? When Bush issued that order for Osama bin Laden (not an American citizen) the liberal media mocked him as “a cowboy”. Apparently when Obama issues the same order its OK because he’s just one of the boys from the Chicago hood. Roanoke Times, 5-19-10, Pg 13: 800 UVA Faculty sign letter protesting Va. AG Cuccinelli probe of former professor Michael Mann, now at Penn State. Roanoke Times, 5-18-10, Pg 13: Commentary by Frank Peck ably pointing out that there is more than adequate reason to investigate possible fraud in Prof. Mann’s grant applications for tax-payer funds. 1. The UVA Faculty stood silent when Democrat Gov. Kaine stripped the distinguished Prof. Michaels of his position as Virginia’s Climatologist and then drummed him out of the University all because he refused to support Al Gores’ patently false and outlandish global warming and climate change statements. Now the UVA Faculty are suddenly moved to action to support a former colleague who has been clearly exposed as a charlatan by the release of the ClimateGate Emails and his totally debunked “hockey stick” manipulation of temperature data. Even the UN’s political IPCC group has disclaimed Michael Mann’s fabrications that included excluding the “medieval warm period” and the “little ice” age data from his calculations in order to generate false results to enhance his position within the Alarmist community. 2. The UVA Faculty and the Editors of the Roanoke Times have not expressed any reservations or objections by the action of UVA to release all of Prof. Michael’s academic records and materials to the Greenpeace organization. Greenpeace has absolutely no standing what so ever to obtain the files of any UVA faculty member and represents an unprecedented and obscene action. The Global Warming Alarmist community and the liberal and left-wing community will surly obstruct shining any light on Prof. Mann’s work because in every case where the public has gained an insight into the Alarmist processes, procedures and manipulation of data the public has come to realize that global warming and climate changes are primarily the result of natural processes and variations and are not “man-caused”. US Senator Inhofe Calls 2009 "The Year of the Skeptic"
Roanoke Times, 5-11-10, Pg 1: High court pick called pragmatic, analytical. Elena Kagan is another Obama and Perriello like candidate for high office with no experience or history of accomplishment in the job they are seeking. In Texas they call it: All Hat, No Cows! No time on any court at any level! What a distinguished resume! Elena Kagen’s major legal accomplishment was, as a key player at Harvard, to continue to block ROTC and military recruiting in spite of a unanimous Supreme Court decision. Yes, that’s the same Supreme Court she now aspires to join! It’s interesting that as a manager one hires and or promotes someone based on a history of accomplishments achieved over a significant sustained time period. Apparently the current process is to reward those resembling the “chooser in-chief”. Qualified candidates need not apply. Does Homeland Security know where Nashville is? The Roanoke Times editorial staff is spooked! Big editorial/commentary articles defending their liberal and left-wing ideology and the leaders of their misguided socialist agenda. Lots of good liberal spin woven into what is presented as “news”. Sixteen months into the Obama, Pelosi, Reid saga and the wagon doesn’t look so good! The ordinary people have figured out that big government, big spending, big debts, big borrowing and BIG BROTHER were not the change they were expecting or want. Now the administration’s media minions are left to convince us that: all is well, that our health care will be better and cheaper, that the borders are secure, that all is on track to bigger and better things, that the future is bright, that our children will be better off than we are, that the world now loves us, that Al Gore and friends are truly prophets and that the Radical Terrorist Muslims are no longer trying to kill us. GOOD LUCK to the girls at the RT editorial board on this assignment! We have been waiting for the major media to wake up and smell the coffee! At some point we thought they would revisit their real mission to be the true 4th Estate and not just another Pravda rag for a socialist jihad. Apparently we have expected too much of those who are blind and cannot see. Roanoke Times, 4-7-10, Pg 3, Clashes follow as Greek lawmakers vote to implement austerity cuts. Prior day’s rioters attacked and burned a bank in which three employees died. Greece is the poster example of the Obama, Pelosi, Reid plan for America. So what went wrong? The same things that happened to other Marx’s socialist societies. At some point the takers over take the givers and the system degenerates. The fix is to reduce the massive benefits and subsidies and entitlements. The receivers rebel with anger and hostility at what they perceive as broken promises and forfeited commitments. By this time they are much too emasculated to show individual initiative and entrepreneurship. All this is not unlike a drug addict going through withdrawal and drug rehabilitation and exiting a beaten and disheartened shell unable to cope with reality. America did not become the greatest country and society on earth by the grace of socialism and fascism. But America certainly can become a second-rate country and society by implementing those economic, social and political policies that lead to mediocrity. Roanoke Times, 5/4/10, Pg 9: Commentary by Dan Casey: Virginia AG subpoena to UVA for data concerning the expenditure of taxpayer money for global warming and climate change research is: “downright scary”. This is the professional expert that Casey used for this article? And at any time have any of the global warming alarmists indicated any “wrong turns” or have they instead demanded that the debate is over and the science settled and the entire world energy systems be redirected to unproven alternatives at hugely elevated costs and taxation! What’s chilling is the diversion of taxpayer grants to only those who subscribe to the alarmists hypothesis that our 250 years of natural global warming is man-made. What’s chilling is the major media support of alarmists and their hypothesis and their black-listing and marginalization of highly competent scientific skeptics. What’s chilling is the firing by Democrat Gov. Kaine of Prof Patrick Michaels, the distinguished and highly renowned UVA researcher and climatologists, because he would not endorse the Al Gore “Inconvenient Truth” diatribe. Are Casey and the Editors of the Roanoke Times unaware of the gross malfeasance of so called scientists associate with ClimateGate? Are they unaware that center to this situation is Michael Mann of UVA, the focus of this particular inquiry. The editorial board of the Roanoke Times has graciously announced that the war that has been declared and carried out against us by the Radical Muslim Extremists is now over! 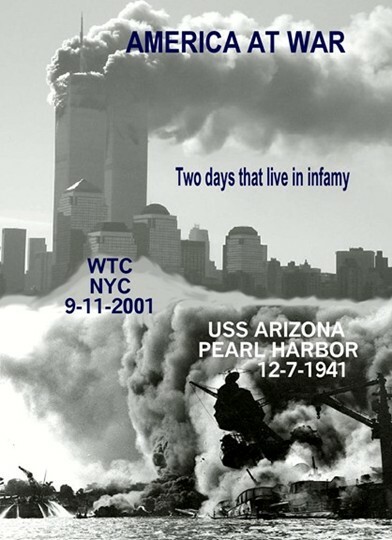 It’s difficult to comprehend this great victory because I missed the announcement that apparently must have been made by those who launched this war against American over a dozen years ago. I remember V-E day and V-J day and this just doesn’t seem the same! Also the recent attacks within the US by Radical Muslim Extremists at Ft. Hood, the Christmas Day airliner and just this week the Times Square bomber and their operations in Afghanistan, Iraq, Pakistan and many other countries just doesn’t indicate that they have declared a peace nor have they agreed to an armistice. The editorial board marginalizes the recent attackers with their “poorly constructed bombs”. They conclude terror is a tactic, not an enemy. 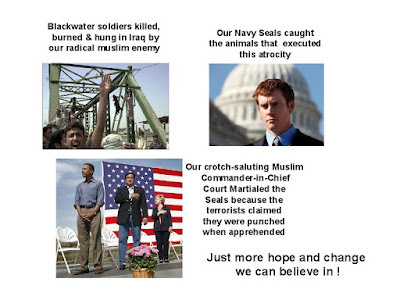 We have had three major public terrorist attacks in the 16 months of the Obama administration. Many find it very disturbing that all three attacks were carried out by Radical Muslim Extremists who had significant contacts with foreign elements and who should have been under close surveillance consistent with the Patriot Act. Why isn’t the system working that is supposed to protect Americans? Obama finds it appropriate to court martial the three Navy Seals that captured the murderers of our Backwater soldiers but quickly Mirandizes the terrorists who kill and try to kill Americans! No military tribunals for them; just sock it to the Seals. Isn't it ironic that Obama wanted to bring terrorists to Manhattan and the terrorists accommodated him by driving a bomb into Times Square. Ariz Governor Jan Brewer sponsors an ad responding to Obama's remarks making fun of Arizona's new law pertaining to illegal immigrants.